The medal of the Society of St Tarcisius is based on the design found on a black High Mass set of vestments belonging to the Latin Mass Society. This particular set was purchased in memory of a deceased member, John Arnell. It dates from the early 20th century, and was probably made in France. It is richly decorated with silver thread. 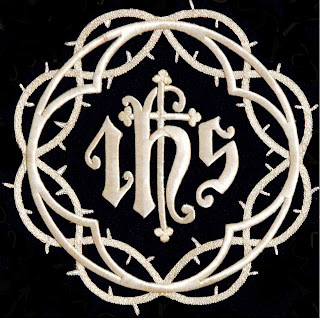 The central motif of the chasuble and cope is the mongram I.H.S., with a cross, surrounded by a crown of thorns and a quartrfoil. The monogram I.H.S. 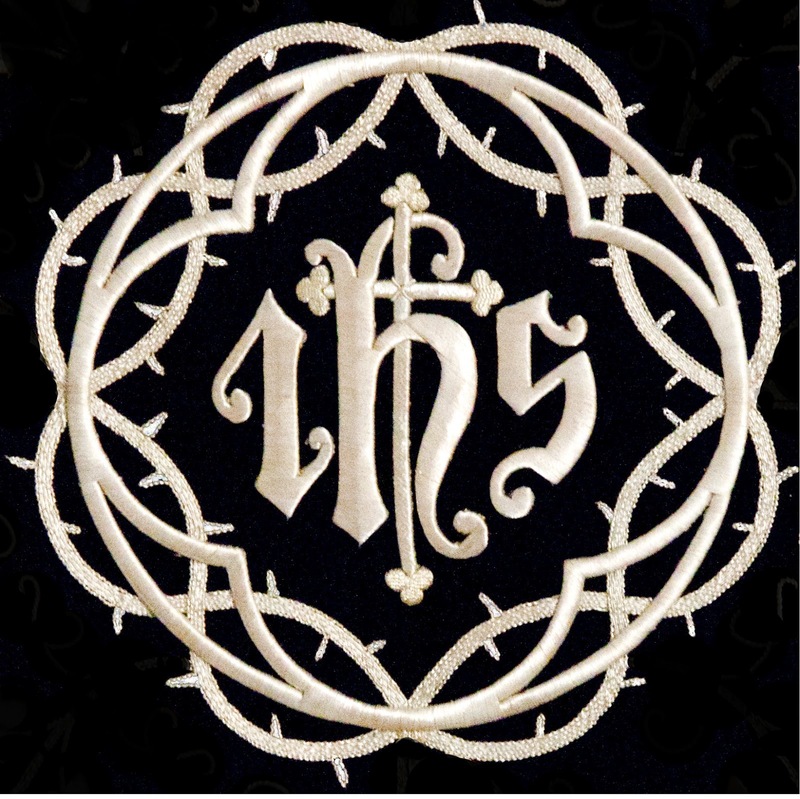 combines the ideas of the Holy Name, whose first three letters in Greek (Iota, Eta, Sigma), resemble these Latin letters, and the Latin phrase 'Iesus Hominem Salvator' (Jesus, Saviour of Men). This monogram, of ancient origin, was particularly promoted by St Bernadine of Siena in the 15th century, in the context of the devotion to the Holy Name of Jesus. Its common combination with a cross also suggests the sign given to the Emperor Constantine before the battle of the Milvian Bridge in the year 312: 'In Hoc Signum (Vinces)', 'In this Sign (you will conquor)': the sign of the Cross which Constantine had painted on his soldiers' shields. 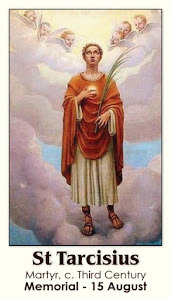 His victory led to the Catholic Faith being made the official religion of the Empire. It can similarly be understood as 'In Hac (Cruce) Salus', 'In this (cross) is salvation'. The crown of thorns surrounding it reminds us of the Passion of Our Lord, in which each of us is called to participate throughout our lives. The quatrfoil, a shape commonly used in ecclesiastical architecture, particularly for windows, again emphasises the cross. The 'Arnell' Black High Mass set on the first occasion of its use by the Latin Mass Society. members and supporters of the Latin Mass Society in Westminster Cathedral, 3/11/18.